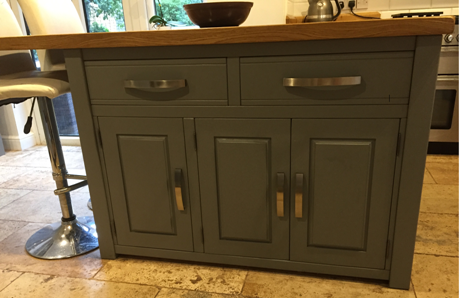 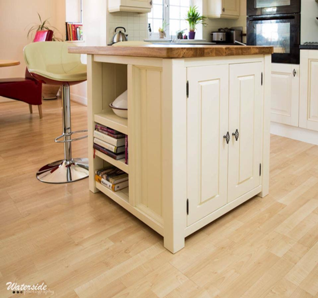 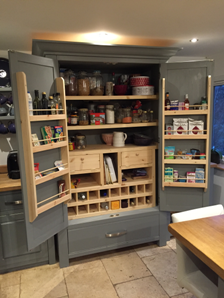 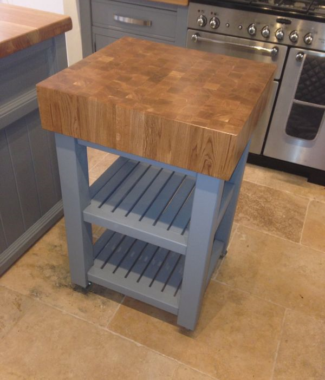 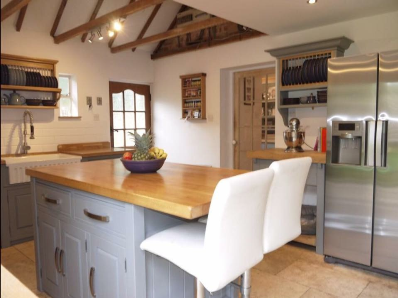 THE LARGE COTSWOLDS KITCHEN ISLAND IS A GREAT WAY OF ACHIEVING EXTRA SEATING AND MAXIMISING STORAGE SPACE IN ANY KITCHEN. 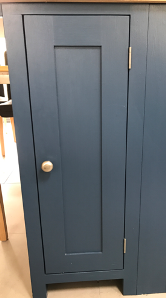 FEATURING ONE DOUBLE DOOR CUPBOARD ACCESIBLE FROM BOTH SIDES, NEXT TO A SINGLE DOOR CUPBOARD, AGAIN ACCESIBLE FROM BOTH SIDES. 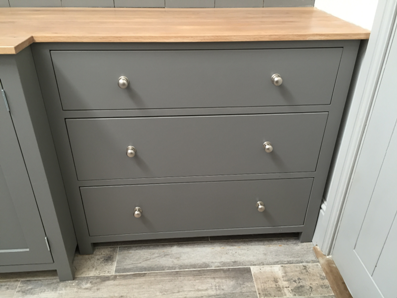 FOUR DOVE TAIL DRAWERS WITH FULL EXTENSION SOFT CLOSE RUNNERS. 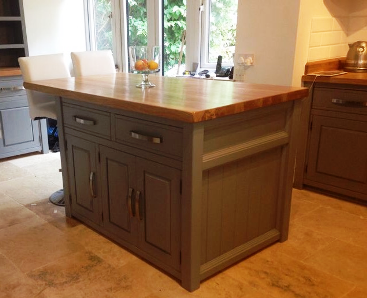 THE BREAKFAST BAR WILL ACCOMODATE TWO STOOLS COMFORTABLY. 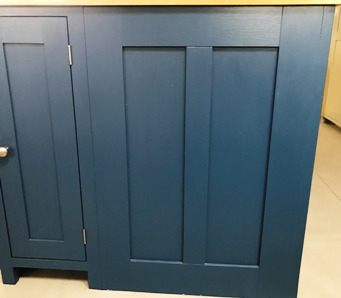 THE PINE BASE IS HAND PAINTED WITH RAISED PANEL DOORS (SHAKER STYLE IF YOU PREFER) PAINTED IN A COLOUR OF YOUR CHOICE FROM THE FARROW AND BALL RANGE. 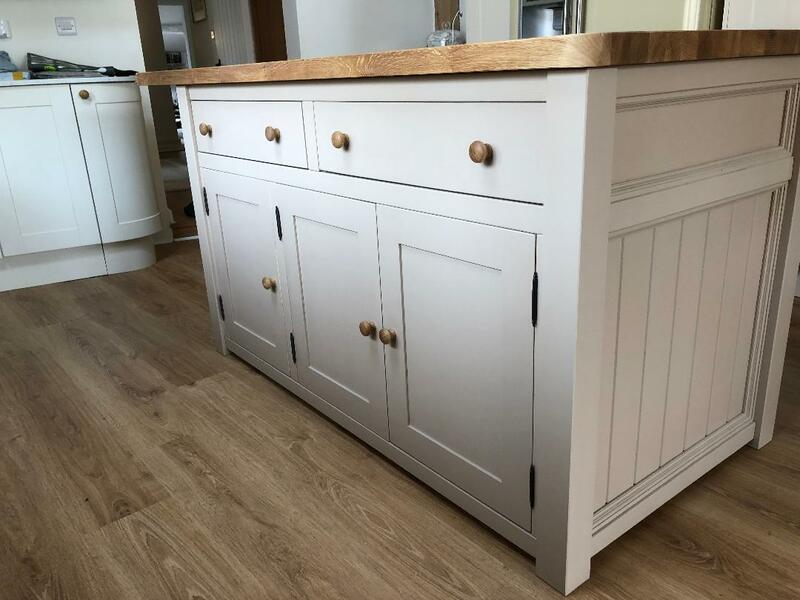 FINISHED WITH AN OAK TOP TO COMPLETE THE LOOK. 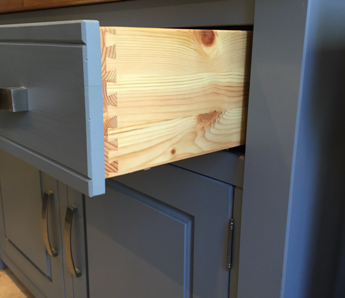 YOUR KITCHEN ISLAND CAN BE CUSTOMED WITH CHOICE OF HANDLES. 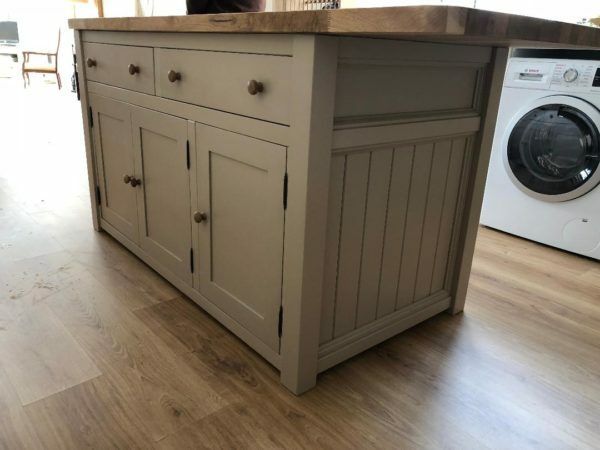 A smaller island is also available.